We are very excited to welcome our Grandparents & Special Friends to campus on Thursday, May 16. Guests will enjoy classroom visits and performances. Valet parking will be available. 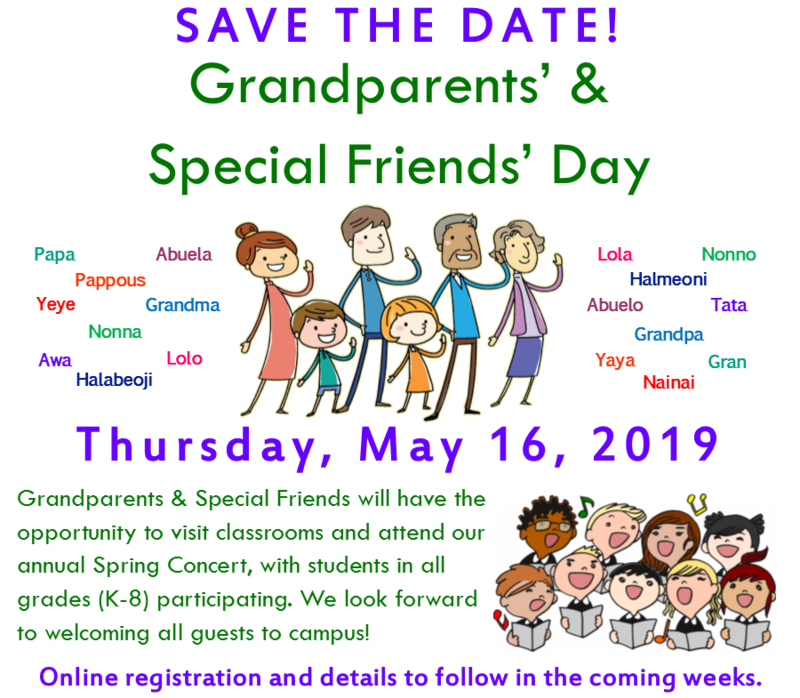 Please register below for our 2019 Grandparents’ & Special Friends’ Day. For any questions, please contact Christina Pasten, Director of Development at 626-798-8989, ext. 0016 or cpasten@highpointacademy.org. Thank you!